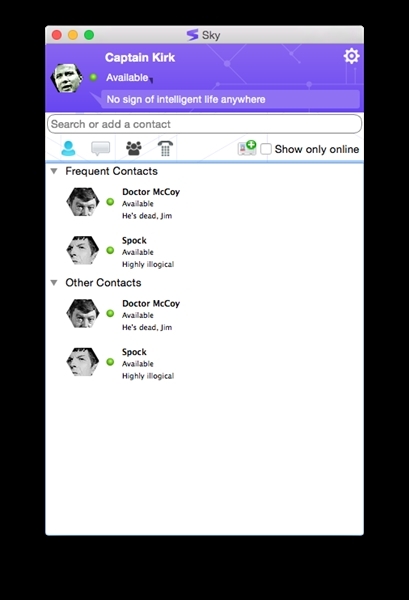 Mac OSX client for Lync 2013, Lync 2010, Skype for Business, 365. Voice calls, conference calls, meetings, chat, group chat, persistent chat rooms. More reliable, more stable, more user friendly than standard MS Lync for Mac 2011. Tested on Mavericks, Yosemite, El Capitan. Focused on the basic functions most people use at work. We can test and perfect it for your company’s OSX versions and environment. We can upgrade and maintain your servers to make sure this client and all Lync/Skype for Business clients run smoothly.